You’ve got profiles on Twitter, Facebook, Instagram, and even Snapchat. You tweet and update your accounts everyday. You even cross-promote your social accounts on your blog. 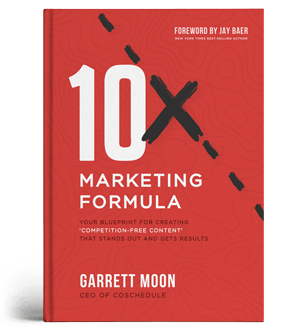 In short, you’ve done everything the experts tell you to do…and yet, you can’t seem to get any traffic or traction. The truth is that social media is exceptionally easy to pick up, but ridiculously difficult to master. Unless you’re doing exactly the right things, you could waste weeks and months tweeting and posting without anything to show for it. If this feels eerily familiar, help is at hand. 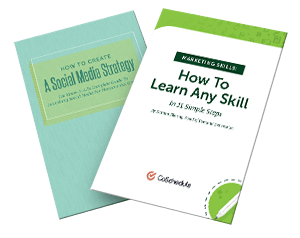 Below, I’m going to show you 14 time-tested tactics you can use to get traffic and engagement from social media. According to a study conducted by Twitter of over 2 million tweets, including pictures in a tweet can boost retweets by 35%. Buffer got similar results when they conducted A/B test using tweets with and without images. Neil Patel increased average traffic from Twitter from 6,000 to 12,470 by including images in his tweets. It’s easy to see why this works: Twitter now shows images within the feed. If you’re scrolling through a feed and see a striking image, you’re more likely to take notice. Of course, creating social media images isn’t easy. Fortunately, there are a number of tools you can use to quickly create Tweetable graphics. Sometimes, they even automate the whole process using an IFTTT recipe. Tweets that include Instagram links are 42% less likely to be retweeted. Tweets that include pic.twitter.com and twitpic links are 94% and 64% more likely to retweeted respectively. Share images directly on Twitter instead of automatically tweeting images from your Instagram or Facebook accounts. Sometimes 140 characters are just not enough. It can be difficult to fit all your thoughts into a single tweet. The solution? Use mini-infographics to add more content to your tweets. This is easy to do even if you have zero Photoshopping skills. In fact, you could even make this in Paint. To use this, hop over to Recite.com and add your text in the text box. Scroll down and select the style you want to use. Since your focus is on the text, pick a simple style that doesn’t obscure your content behind images. Then click on “Create”. On the next screen, you can download the image or share it directly on Twitter. Most of your followers won’t be online when you send out a tweet or a Facebook update. And even if they are, it’s likely that your post will get lost in a sea of other updates (particularly true on Twitter). There is a simple solution to this problem: share your updates multiple times. Don’t confuse this with spamming; your re-shares must be spread far apart that they reach your entire audience without alienating anyone. Thus, instead of just an average of 4.9 retweets, recirculation helped him increase average retweets to 11.3 (4.9 + 3.7 + 2.7) - an increase of 130%! Helps reach all time zones: If you have an international audience, some of your followers won’t be up when you first send out a social update. Resharing your content means that you can reach every follower, regardless of their location. Helps reach new followers: People who started following you in August might not know about the content you wrote in January last year. Resharing it ensures that all your followers - new and old - can get to see your best work. Understand that every social network has different tolerance for repeated content. This is mostly a function of the network’s “half-life”, i.e. the time it takes for a social post to reach only half its original audience. Because of its rapid-fire format, Twitter has an exceptionally low half-life of just 18-minutes, while Instagram’s half-life is 2.23 hours. This means that you can get away with resharing your content multiple times on Twitter as compared to, say, Facebook. From text messages to Facebook status updates to even emails, emojis are everywhere. Apparently, it is the fastest growing language in history in the UK. And not just people, but even brands are using emojis more than ever. Some brands like Coca Cola go so far as to create their own custom emoji. According to SocialBakers, 40% of Facebook’s top brand pages use emojis. Research also shows that emojis can lead to 33% higher share rate and 57% higher “like” rate. Emojis are designed for a single purpose: to condense emotions into a simple visual that can be understood across languages. In other cases, emojis can help condense complex sentiments into short statements. This is particularly useful when you’re communicating on social media. Emojis are colorful visual cues that arrest attention. This makes them particularly powerful for highlighting CTAs. You can’t miss the link even if you wanted to, thanks to emojis. Here is a list of emojis you can use in your next social post along with their keyboard shortcuts. When you are posting an update on Facebook, keep your copy short and sweet, especially when you share images or videos with it. RedBull does this really well. They keep most of their updates to at most 6 words. Don’t be afraid to use shorter updates with more innovative content-types to tell your story. Note the use of words like “your” - which CoSchedule found correlate with more shares. Dove also uses Facebook’s newer content formats, such as the carousel, to tell more interactive stories. Similarly, Starbucks focuses its updates on “showing”, not telling with images. If you want to get higher engagement and shares, try keeping your updates short and pair them up with remarkable visual content. After all, images get 2.3x more engagement than text-only posts on Facebook. Generate curiosity among your readers by creating a “curiosity gap.” This is the gap between what we know and what we want to know. When we notice a gap in our knowledge, it produces a feeling of deprivation that prompts us to go looking for that piece of missing information. In other words: more shares and clicks. This post makes you want to know what exactly Calvin Harris is sharing on social media that’s “shading” Taylor Swift. Do keep in mind that the curiosity gap has been heavily abused on Facebook (especially the “You won’t believe…” style headlines). Your readers can now tell when they are being baited with something obvious. Plus, Facebook’s recent algorithm changes also limit the reach of such headlines. If you’re going to use it, be more subtle about it. Words like “this”, “how”, etc. act as curiosity anchors. They indicate that something is happening without necessarily revealing it. More than your copy, your images are the real drivers of curiosity in your updates. Showing off everything within the post image is a good way to get people to lose interest. Keep in mind not to use obvious curiosity plants such as arrows and other visual markers. These have been widely abused and both Facebook and your readers will see this as spammy. Something like this won’t work particularly well with your readers. Exaggerated exclamations - “WOW!”, “WHOA!”, “OMG!” - might sound hyperbolic, but they’re great for grabbing attention. After all, you want to know the reason behind these exaggerated emotions. People love questions. If they know the answer to it, they usually reply = more comments and engagement. According to HubSpot, question posts get substantially higher comments, though the share/like count suffers. Ask questions that are witty, short and intriguing. Abstract questions are even better, where the answer is subjective. Also, make sure the question is related to the article that you are posting. Which prompted thousands of comments, giving Starbucks an opportunity to pitch its products while also positioning itself as a customer-friendly brand. A twitter chat is where a group of twitter users meet to discuss a certain topic, using a hashtag for each tweet contributed. Typically, the moderator starts off by asking questions (Q1, Q2..) to which participants respond with answers (A1, A2..). Each chat typically lasts about an hour. This is a great way to meet new people with similar interests. You can also build a following with highly engaged and targeted users. Krista Tolstedt has a great post on setting up your very first Twitter chat. Read it here. It isn’t just about getting traffic; it’s also important to convert that traffic into actual customers. According to one study, 51% to 79% of social media fans are more likely to buy and recommend than non-social fans. If that’s the case, doesn’t it make sense to send your social media fans to dedicated landing pages instead of your home page? Different audiences: Your Facebook fans are very different from your Twitter fans, who, in turn, are different from your search visitors. Sending them to the same page means that you’re likely losing out on new customers, leads and conversions. Contextual relevancy: When you send a customer who was looking at your t-shirt selection on Instagram to a homepage filled with links to shoes, you break your customer’s sense of context. By creating custom landing pages, you can ensure that customers don’t get confused or lose this sense of contextual relevancy. Clicking on any image shows all the clothes the model in the picture is wearing. Here, you can click on a product and it will take you to the JCrew website where you can purchase it. This way, customers who like a specific product on Instagram can go directly to the product page - a smart way to work around linking restrictions. We have all seen hashtags being used on almost all social media channels (except linkedin maybe). Most brands use hashtags multiple times whenever they share content on social media such as on their graphic and in their status. Your hashtags can be either branded, generic or trending. Branded hashtags are usually made up by a brand for a particular campaign. For instance, the #TasteTheFeeling hashtag promoted by Coke. Generic hashtags either revolve around a specific event (such as #MothersDay or #Rio2016) or any other topic (such as #skateboarding). Trending hashtags are usually short-lived trends that are promoted by other users. For example, #HighSchoolTaughtMe was recently trending. Sometimes, these trends might be promoted by a brand as well. Other times, these trends might be periodic (such as #FridayReads on Twitter). The holy grail of hashtag use is when you can squeeze in each of these three hashtag types. That’s when you can maximize your traffic. (In the above case, that would be Coca-Cola tweeting about how ‘#HighSchoolTaughtMe about #skateboardin and to #TasteTheFeeling’). If you can’t do that, at the very least, add as many hashtags as is reasonable. Including certain specific words in your tweet can get you more shares. You can call them “trigger” words since they often trigger activity. As per CoSchedule’s study, here are 500+ emotional power words you should be using in your updates and headlines. Explicit instructions to do an activity (“please retweet”, “please share”) often works better than subtle suggestions. Exaggeration works; words like “most”, “every”, “top” are usually overrepresented in most updates. Being helpful is always good, which is why “how”, and “help” top trigger words lists. People need a reason to share. Which is why “reasons” is a word found in heavy shares on both Twitter and Facebook. If you want people to check out a blog post, ask them to do exactly that with phrases like “check out” and “new blog post”. To sum it up, be explicit, exaggerate, and always be helpful if you want more shares. There is no other visual content that can describe something as efficiently as a GIF. Use relevant GIFs when you share an update on social media. Thanks to tools like Giphy, it’s now very easy to add GIFs to any update. For instance, suppose you want to find a GIF that shows readers that you are “happy”. Hop over to Giphy and search for “happy”. On the next page, select a GIF you like. For Facebook: Choose the GIPHY link as they’ll show as a preview inside Facebook. For websites/blogs: Choose the GIF download link, then upload the image to your website. For Instagram: Choose the HTML5 video option. You can also upload this to Facebook. For Twitter: Choose the final “Upload GIF to Twitter” option for direct Twitter sharing. In case you haven’t noticed, Facebook now shows trending topics in the sidebar. If you write about these topics, your update will show up when someone clicks on the trending topic. This is a great way to reach new users and piggyback on a trending topic. For example, recently, Michael Phelps was trending on Facebook after his record breaking Olympic performance. Notice the plug for a blog post on FINA.org. This post showed up at the top of the page when someone looked up “Michael Phelps”, getting FINA before thousands of new potential customers. Social media can be a difficult beast to master. What works, what doesn’t often changes too fast. The fundamentals, however, remain the same: be conversational, be visual, and be evocative. Hopefully, these 14 tactics will help you fine-tune your social media strategy and get more shares, traffic and engagement. Puranjay runs GrowthPub, a content-focused growth marketing agency focused on helping small businesses and startups scale their content efforts. He also blogs about marketing, copywriting, and entrepreneurship at GrowthSimple.